It’s a great question and one I’m going to try and give you an answer to in this post. My hope is that with reasons both for and against, in the next few minutes you’ll know in your own mind if Wealthy Affiliate can help you to achieve your online income goals or not. Wealthy Affiliate is for who exactly? 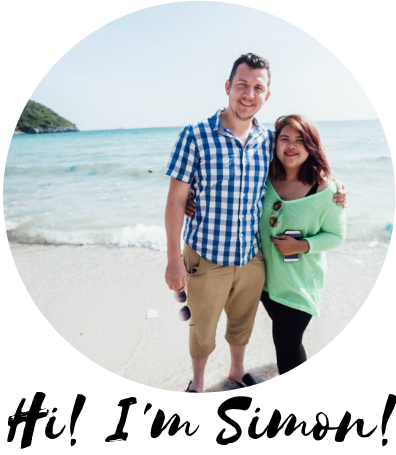 Hi, I’m Simon and I joined Wealthy Affiliate in March of 2014. I finally found the Wealthy Affiliate training program after years of searching online for a legitimate way to earn money online. I fell for scam after scam and almost gave up on the idea altogether, I thought that perhaps this ‘make money online thing’ was just a crazy pipedream but nothing more. It was then I accidentally stumbled across Wealthy Affiliate and I’m so glad I did. It didn’t take me long to realise Wealthy Affiliate is for real. Once I started seeing the results for myself and my new online business started making money, I was convinced. I followed the training courses without skipping a single lesson, I completed each action step and I made my first sale just two weeks after I became a member. I’ve been making money online ever since. It wasn’t automatic and it took me 12 months to completely replace my full-time income, but I did it. If I’m being honest, this is one of my proudest achievements so far. Lots of people talk about getting out of the rat race, they lie in bed late at night wondering what it would be like to own a successful and profitable business but most either don’t have the right know-how or the balls to make it happen. I did and I’ve never looked back. Today I earn more than $6,000 a month from my affiliate websites based around different topics. I’ve always been a talker and so for me, blogging seemed like a good way to go about building an income for myself online. By building websites, getting traffic to those sites and monetising them through affiliate marketing you’re building an online business for yourself that’s open 24/7 to a worldwide audience. I should say right off the bat – Wealthy Affiliate isn’t for everyone and you don’t start making money just because you signed up as a member. I see lots of people joining Wealthy Affiliate and then quitting a month or so later. Perhaps they had unrealistic expecatations going into it, got disheartened and gave up. The purpose of this post isn’t to try and dissuade you from starting your online entrepreneurship journey, not at all. Quite the opposite, but if you are going to commit yourself to this I want you to know what you’re getting yourself into or at the very least, give you as much information as I can so you can make an informed decision. Some people think the internet has magical powers and with a few clicks of a mouse you can be rolling in the green by next Tuesday. Perhaps we could blame all those self-proclaimed make money online experts who make big and bold (but hollow) promises of instant cash systems with no work required. Which would you prefer? A fake but fast way to make money online or a slower but REAL way to make money online? Wealthy Affiliate isn’t a get rich quick scheme and there’s no shortcut to success. They teach real online business strategies but you need to work to put what you’re learning into practice. In practice, you’re going to be setting up a website and attracting visitors by creating some awesome content. This could be writing blog posts, creating videos or recording podcasts or uploading photos. Don’t worry, the awesome training will show you how to do this step by step even if you’ve never done anything like this before. But you should know before signing up, that in the beginning stages, unless you’re to start outsourcing, you’ll be the one writing the content, building your platform and getting your message out there. On the flipside, the great thing about this is you get to make money by getting creative, sharing your expertise, helping people who are looking for solutions only you can give them. In fact, I’d go as far as saying, the more helpful and useful you can be, and the more peopel you can help, the more money you will make. Most reviews of Wealthy Affiliate will tell you it’s free to join, free to learn and earn… and that’s kind of true. You can sign up for free, no credit cards reuqired. But really, if you’re serious about making money online, at some point you’re going to want to upgrade to Premium. Don’t be mad at me, I’m just telling you how it is. I joined Wealthy Affiliate because of the free membership and I think one of the many things that makes this program stand out from all the rest is the fact you get open access without ever paying a dime. It’s a great way to get your foot in the door and see the awesome training, community support and state of the art online business tools for yourself. Can you make money with the free membership? Sure, but it’s an uphill battle. Most people start out life at the Wealthy Affiliate online community as a free member before deciding to upgrade to the Premium level when they’re ready. What is the Wealthy Affiliate free membership? I can tell you from my own experience that what you’ll learn through the core training at Wealthy Affiliate works. What I found really refreshing about Wealthy Affiliate is that inside the member’s area you’ll find no hype and no spammy upsells, just practical techniques and strategies you can leverage to push your business forward. These real and inspiring Wealthy Affiliate success stories (including mine) are from people just like you who have got extraordinary results by simply following the training. It doesn’t happen overnight; it takes time, patience and a willingness to learn, but if you stick with it you can change your life. What’s your ‘why?‘, your reason for wanting to do this? My dream was to work in Thailand as a missionary, working with families and children in slums to escape the cycle of poverty. Now I live in Thailand and I love it here. Whatever your reason; to provide for your family, to live an independent entrepreneurial lifestyle, to wave goodbye to the dreary office cubicle, whatever it is – remind yourself of it daily and use it as motivation to spur you on. Wealthy Affiliate will show you the exact steps to become successful online and your earning potential is limitless. You’ll have the tools available at your fingertips to build a long-term and growing online income stream for yourself and most importantly, you’ll have the help and support of 1000’s of fellow members all cheering you on and ready to give you mentoring and support whenever you need it. This is what Wealthy Affiliate bring to the table, what you need to bring with you is a stubborn passion to succeed. Armed with your ‘why’ and the training and support you’ll get instant access to as a member, you’ll be unstoppable. Wealthy Affiliate will equip you with more than just abstract theory, they’ll give a blueprint for building a real online business and it’s up to you to act on what you’re learning and make it happen. When I joined Wealthy Affiliate I was hungry for success and I was willing to put the work in. Whatever it takes. Even now, I take small action steps every day that take me closer to achieving my ultimate dreams and goals. I’m still as excited about my online businesses as I was 3 years ago when i first started. Because while I know money is not the be and all it, having financial freedom opens up options for you, it gives you choices to design the kind of life you want for yourself. Wealthy Affiliate is for pensioners looking to support themselves in retirement. Wealthy Affiliate is for stay at home mums looking to use the internet as a way to start a home business and support their family. Wealthy Affiliate is for college students who want to clear their student debt and start earning before they graduate.. Wealthy Affiliate is for beginners. No experience necessary. Before I became a Wealthy Affiliate I had no idea of how to make money online (just how to lose it) and I had never even set up a website before. But Wealthy Affiliate designed specifically for beginners. The weekly video classes and core training courses alone will take you from total newbie to an affiliate marketing pro. And finally, Wealthy Affiliate is for bloggers who already have a website and readers but are not quite sure about how to make money from it. You’ll learn how to turn blogging from a side hobby to your main profession if you want to. Ultimately the choice to join or not to join Wealthy Affiliate is yours. If you’re still cautious like I was, I dont blame you. There are so many work from home scams out there and if you’ve already been burned you don’t want to let that happen again and I totally get that. This is why, if and when you’re ready, I recommend you try out Wealthy Affiliate for free first and take advantage of the free Starter account so you can start learning, experience the community for yourself and then decide whether or not you will pursue it from there. Click here for a step by step on how to join Wealthy Affiliate and get the most out of your membership. Have you got any questions about the Wealthy Affiliate community? Feel free to ask me anything you like in the comment below and I will get back to you as quick as I can. I really do want to see you succeed at this and will do anything I can to help. Hi, you made good efforts to bring these point to us, and I have heard a lot about wealthy affiliates. I am planning to launch my first affiliate website but its look like that wealthy affiliates is only providing data for content or blog sites, I am right? Actually, I am planning to launch an affiliate website like coupons or cashback site and my friend recommend me an other site revglue.com. Here I am confused in platform selection which one I should choose, revglue is providing some technology for cashback and coupons sites ” https://www.revglue.com/blog-detail/5-how-to-setup-a-uk-discount-voucher-website-in-ten-minutes “. As per revglue we can create an coupons site in free excluding domain and hosting and can earn 80% commission on each sale. Could you please confirm if wealthy affiliates is providing technology to make these type of website and how much commission they are offering so i can compare before launch and can take right decision. At Wealthy Affiliate you’ll be given the training and resources to build an online business through the building of a income-generating website. As there are literally 100s of ways to earn income through your site (advertising, affiliate marketing, sponsored posts etc.) it is completely up to you how you want to do this. My favourite thing about the Wealthy Affiliate community is that you can get immediate support and help and questions answered instantly at every step of the way. I hope this helps. Good luck on your online business journey! Hello – you make some great points about Wealthy Affiliate. I, too, was at a point I didn’t think anything good existed from the “make money online” platform. But I joined Wealthy Affiliate as well, and have not been disappointed! I had success in internet marketing a few years ago but quit due to family commitments…and when I came back to online marketing, there were so many things that had changed, and so many scams to wade through – it was frustrating! But when I found WA, I knew it was legit – and there are nearly a million others in WA who would agree. Anyway – I’m just confirming everything you wrote in your post – it’s truly a one of a kind program and well worth the price tag for learning how to make money online. I hope others see your post and also give it a try. Thanks. Hey thanks for your feedback Tom. I will never forget the day I joined Wealthy Affiliate and I’ve never regretted it. I hope people who are looking for a real work from home opportunity but are still unsure read your story and at least decide to give the free membership a try.